HEART is committed to our rescue work. This means that our foster homes are full with animals that have NO SAFE PLACE – they are either strays or “overflow” from shelters. It is impossible for us to accommodate the many requests we receive to take pets from homes that no longer can or wish to care for them. We love all animals at HEART but we simply don’t have the resources to help pet owners looking to surrender their pets. Your pet is a member of your family. You made a commitment to love and care for your pet for his or her lifetime. Your pet has no one else but you to look out for his interests and is depending on you to do everything you can do to find him a loving, safe home. Your pet needs you to make the right choices for his future. Please think carefully before you hand over responsibility of your pet to someone else. Make sure to screen potential adopters carefully. Do not be afraid to deny a potential adopter if you just do not feel right about them. 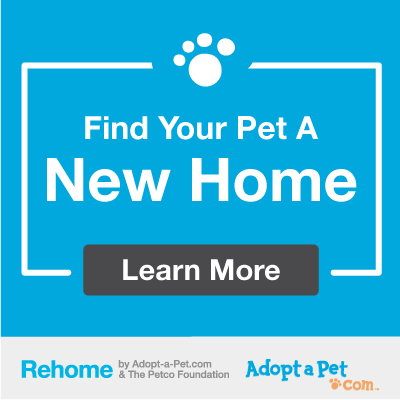 Never, ever advertise your pet as “free to a good home.” Always ask for an adoption fee in order to prevent unscrupulous adopters looking to sell the animal for research or to use him or her as bait or snake food. Surrendering your pet to a shelter is not an easy decision to make and one that should not be entered into lightly. Many pets that have lived their life in the company of a loving family now find themselves locked in small cages not knowing what will happen to them, not understanding why they aren’t at home sleeping by the window or wagging their tail from a nice belly rub. Remember, the number of animals in need of homes far outweighs the number of people looking to adopt.